Looking For International Trade Consultants? 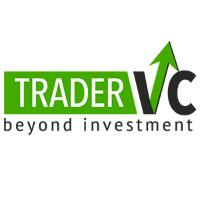 TraderVC was established to bring a new level of simplicity, performance and long-standing expertise to the world of Forex and CFD trading. Our team consists of veteran investors and experienced brokers, along with financial experts from a wide variety of backgrounds. Our collective knowledge and experience in digital trading are unrivalled – as is our total commitment to client satisfaction. We’ve invested everything we know in the creation of a uniquely user-friendly trading platform, delivering the perfect balance of power, performance and simplicity. We know exactly the kinds of tools, features and resources you’re looking for – we’re not about superfluous extras or unnecessary frills. No downloads are required, getting started takes a matter of minutes and traders’ accounts are protected by state-of-the-art security. All you need is an internet connection to dive into the world of trading, with the potential for returns as high as 81%.